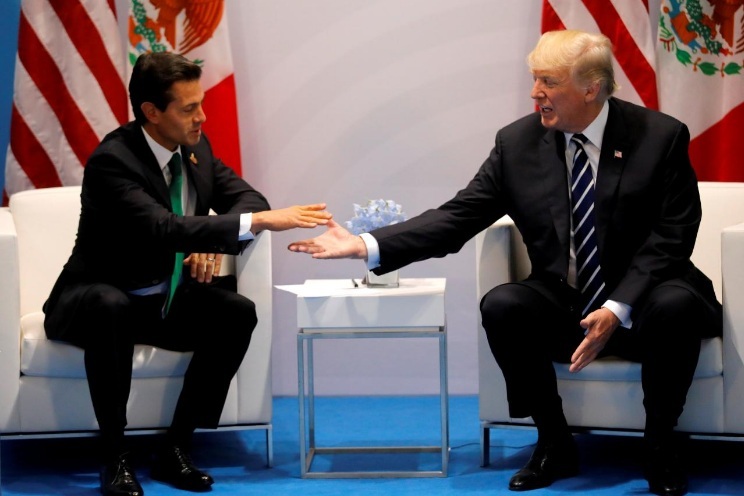 MEXICO CITY — Mexican industry is exploring revising trade rules to ensure U.S. workers benefit from a renegotiated North American Free Trade Agreement (NAFTA) to address head-on U.S. President Donald Trump’s biggest beef with the treaty. Reuters reports that with talks due to start next month between the United States, Mexico and Canada, Mexican officials have stressed the need to craft a new deal that would strengthen the region against competitors, particularly in Asia. Trump has threatened to ditch NAFTA if he cannot rework it to the benefit of the United States, arguing it has fueled a trade deficit with Mexico and cost thousands of U.S. jobs. Mexican officials say a revamped NAFTA must further integrate the region and are awaiting U.S. negotiating objectives, due to be published on or around Sunday. They point to sectors like autos, where U.S. inputs make up some 40 percent of the value of products imported into the United States from Mexico, while Chinese exports contain only 4 percent, according to the U.S. Center for Automotive Research. “If we integrate further and make Mexico more competitive versus China … even if our exports rise, U.S. jobs will rise, because when we export (to the United States), they’re exporting too (via U.S. content),” said Jaime Serra, a former trade minister who led the initial NAFTA negotiations for Mexico. However, mindful that Trump needs to be able to claim a more obvious win from the shake-up, they are also looking at rules governing how much of a product is made in the region. NAFTA rules of origin stipulate that to qualify for tariff-free access, some products need to be sourced to a certain degree regionally. Cars, a recurring point of attack for Trump, must meet a threshold of 62.5 percent. Because raising that threshold would not automatically benefit U.S. workers – firms could just expand capacity in Mexico – Trump’s trade team want to have some national content rules within the regional framework, Mexican officials say.